Day 224 – Julia P. & Lucas B. 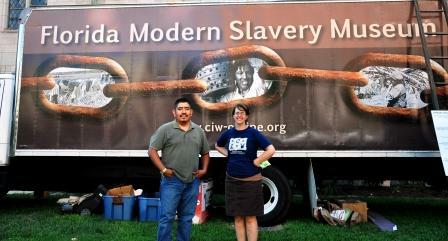 Were you aware that there are people enslaved in the US today? Unfortunately this is all too common occurrence in the agriculture business; eight cases in Florida alone in the past 12 years and many more that go undocumented. Recently I was walking home from work when I passed a truck parked up on the grass in front of the Church of the Pilgrims in between 23rd Street and Florida Avenue in Northwest DC. 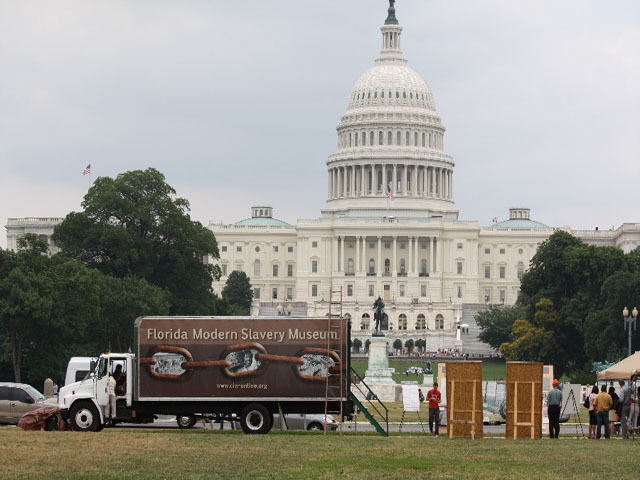 On the side of the truck was written “Florida Modern Slavery Museum.” It’s hard to believe that this exists in the US in 2010! But it does. A new case was just filed last month. As I browse through the exhibit I read the stories of those who have been held against their will, chained, beaten, pistol whipped and even shot. I got the opportunity to sit down and speak with Julia and Lucas; two members of the Coalition of Immokalee Workers (CIW). Their organization is one of three groups that have come together to produce the museum and travel the country educating people about the horrifying status quo of farming conditions in Florida and many other parts of the country. The CIW is a community-based organization of mainly Latino, Mayan Indian and Haitian immigrants working in low-wage jobs throughout the state of Florida. 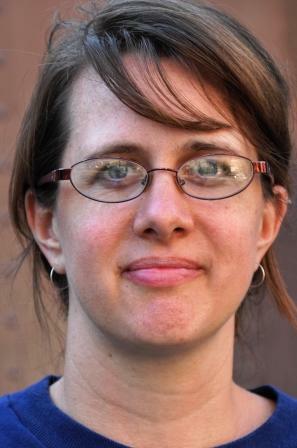 Their organization has communal in nature and has no hierarchy or executive director for that matter. They are 4,000 people united to improve the working conditions of the farmers. Julia and Lucas are traveling accompanying the museum as it makes its nearly four-week tour up and down the East Coast. They explain to me that although the museum started this year, the CIW has been around since 1993. They share with me the “other side of agriculture…the dark side.” You might think that this is a situation that you are far removed from, however, Julia reminds us that we all are involved. “This is about the people who harvest the fruits and vegetables that you purchase in your local grocery store.” They explain to me that the grocery stores are a part of this too. They pay very low fees for the products that they get. So little that the result is that the farmers provide low wages and poor conditions to their workers. Some cases get so bad that the workers, who are often immigrants with little recourse, become held against their will in a modern enslavement of sorts. 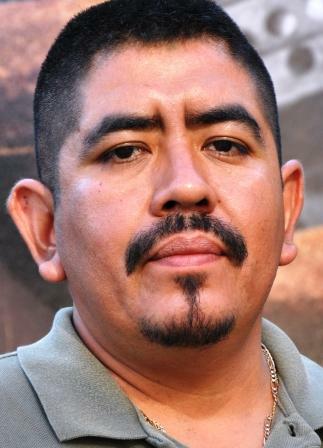 • Ensure a voice for farm workers in monitoring improvements and reporting abuses. Some restaurants have agreed to these principles: Yum Brands (KFC, Taco Bell, Pizza Hut, etc), McDonald’s, Burger King and Subway. I didn’t get a chance to ask them why it is focused on tomato-pickers and not more general, it seems like we should be protecting all types of farm workers. I have two videos to share with you on this topic. The first one is an extensive conversation with Julia about the current situation as well as a call to action of what we can do to help abolish these inhumane practices. If you would like to learn more about CIW or make a donation, please click here.